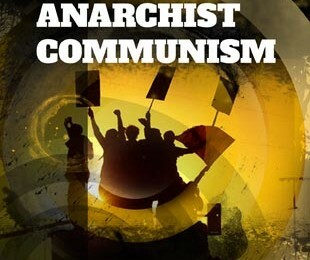 Anarchist communism is a living, breathing, working class tradition that grows out of the actions and experiences of millions of people in the struggle against capitalism. The one lesson that we learn again and again is that wherever we are and whatever is happening to us, we will fight back. Sometimes we win, more often we don’t, but whenever we make progress the principles of direct action and self organisation are usually at the heart of it. Our defeats are never total: there’s always something left to move forward and carry on fighting. Our victory will never be final: human beings will always seek to change and experiment, to develop new experiences and new ideas. We believe that as long as capitalism, patriarchy, white supremacy and all the rest of it still exist there will always be those who resist. We believe that we have the best chance of winning when we organise using anarchist communist principles. As long as that resistance goes on, the Anarchist Federation and the many groups like us all over the world, will do whatever we can to put these ideas into effect when we need them. Wherever people get exploited, they will always fight back, and as anarchist communists we will always be there to support this as best we can.